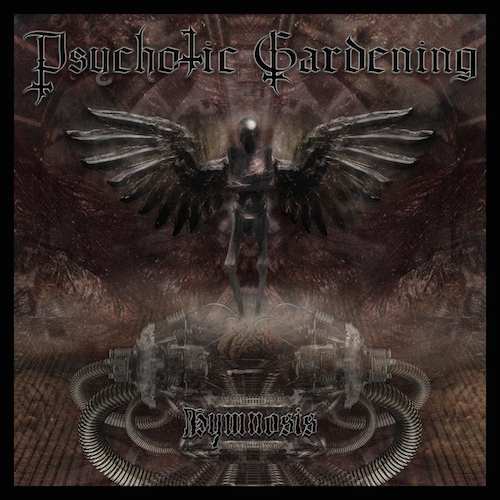 The new self-released album from Winnipeg’s Psychotic Gardening puts a great many albums released on larger metal labels to shame. The musicianship is top-notch, production values are high, and that is a very memorable name for a band indeed. ‘Origin of the Infection’ gallops along in old-school fashion, yet those guitar flourishes give the song an extra dimension. ‘Defile’ has a chugging riff, very Celtic Frost-y. This we like very much (Frosties… they’re great!). ‘Re-Hybridised Strain’ has a majestic doomy air to it, while with ‘Mindfold’ we’re back to relentless death metal. ‘Genome Degradation’ really shows Psychotic Gardening’ having a strong original identity, this a song the band really give the necessary time to flex and breath. 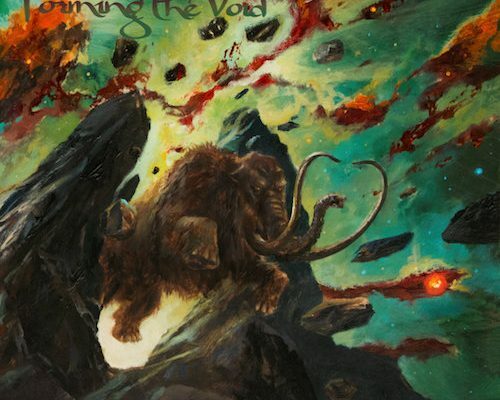 ‘Searing Cital’ reminds me of the mighty Voivod and has a pleasing groove to it. As to ‘Gardening Raiding’, it is a splendid mix of progression and brutality. Psychotic Gardening also cover the Death classic ‘Open Casket’, doing it justice while giving the song their own slant. ‘Journey To The Sun’ finishes the album in fine style. An excellent album from a band the world should hear more of.